£1.4bn Britvic-Barr tie-up put on ice? There should be corks a-popping at Britvic and AG Barr after the Competition Commission cleared their merger. But Britvic has gone cool. It’s been nine months since drinks manufacturers Britvic and AG Barr announced their intention to form a £1.4bn merger – and the Competition Commission has finally given them the go-ahead. Trouble is, Britvic has suddenly gone (ice-) cold on the deal. 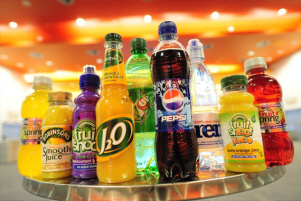 Nevertheless, with brands such as Irn-Bru, Pepsi, Robinson’s and Rubicon, the tie-up – to be known as Barr Britvic Soft Drinks – would form one of the largest drinks manufacturers in Europe, generating sales of more than £1.5bn a year. Crucially, when it was originally proposed, the merger was due to release £35m of cost savings between the two companies (part of which would come from about 500 job losses – about an eighth of the total workforce). Nine months on, though, and Britvic seems to have changed its mind. Chairman Gerald Corbett says that although the company ‘welcomes’ the findings, Britvic is ‘in a different place to last summer when the terms of the merger were agreed’. AG Barr is understandably annoyed: the FT quotes an insider saying that Britvic is ‘either playing hardball or they don’t want to do the deal’ – so there’s a good chance Britvic has realised it’s under-sold and it just wants a higher offer. Weirdly, though, the market doesn’t seem affected: shares in both firms have remained relatively flat in early morning traders. Perhaps investors are just biding their time.